We are your Residential Gutter Experts! There are two main functions that gutters and downspouts serve. First, they help capture and direct the roof run-off water away from the house. Second, they help protect the exterior surface and perimeter grading of the home from water damage that can result from water stains on the walls or soil erosion around the home. Drain roof runoff effectively with gutters and downspouts installed by the experts at Built Strong Exteriors. We serve homeowners in the providing complete gutter design and installation for these essential home add-ons. 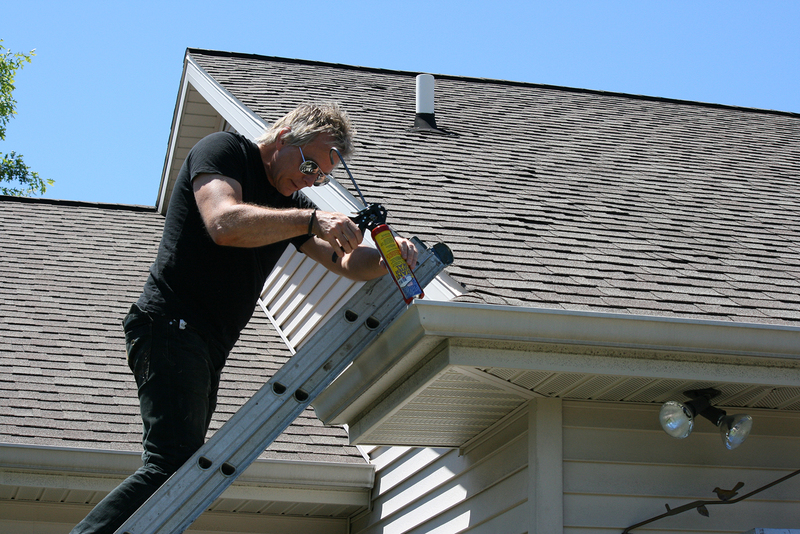 Find out more about our re-roofing and siding installation work, as well. It is estimated that one inch of rainfall on a typical 2,000-square-foot home can produce up to 2,500 gallons of water. Not all homes need gutters and downspouts—it depends on the design of the home and local weather conditions. However, if your home is experiencing problems resulting from surface water, gutters and downspouts should be the first line of defense. Gutters come in different shapes and sizes and should be selected based on particular conditions of your home, including aesthetics, slope, and the size of the roof, as well as local weather conditions. The standard gutter is made of aluminum or galvanized steel and is attached to the fascia board at the eaves (the roof line of the home). The standard gutter is 5″ wide, and the size should match the anticipated amount and volume run-off for the roof. 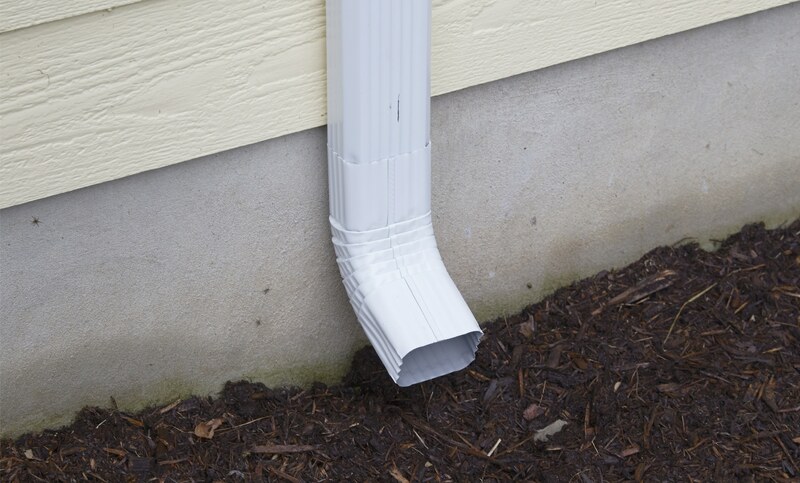 Downspouts, sometimes called “leaders”, are used to direct the water leaving the gutters down to the ground or drainage system in a controlled fashion. Downspouts are secured to the side of the house and often constructed of the same material as the gutters. Where the downspout discharges the water is important when controlling surface water around the home. Extensions, which are additional piping that extends laterally from the bottom of the downspout, are used to direct the roof run-off away from the foundation. Splash guards or blocks are used to prevent soil erosion if the downspout discharges onto the ground.